Colleen K. Lanier began promoting the hemp industries in 2013 when she coordinated with the Hemp Industries Association (HIA) to launch the first state chapter in Tennessee. As a former legal assistant turned publishing and marketing coordinator for a water and wastewater trade association, Colleen dedicated her expertise to execute a successful strategy to legalize hemp in Tennessee. The campaign included a widely shared educational component on social media that reached 20 million people. In 2014, Vote Hemp recruited Colleen as National Outreach Coordinator. She served on the advisory committee to the Tennessee Department of Ag in the development of their hemp program. 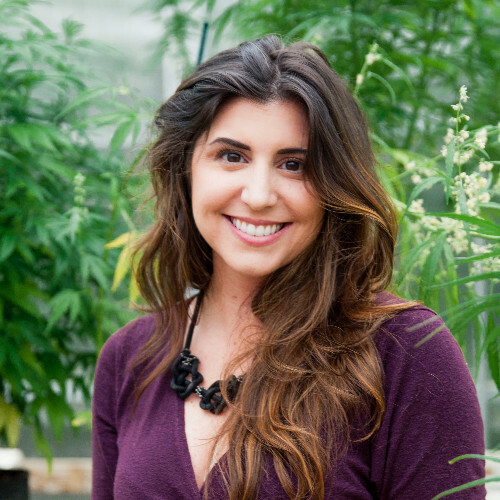 She's worked with activists, policy writers, regulators, legislators and industry stakeholders to identify pathways for the hemp industries nationwide. In 2017, Colleen became Executive Director of the HIA. She works with the Board of Directors to lead execute strategies for the association. Colleen led the engagement with Hoban Law Group to facilitate swift board action resulting in HIA v. DEA III. Colleen is working to establish a legal defense fund for the industries and envisions the normalization of hemp farming and the crops' commodities in the marketplace and the home. She is also serving on Arizona's Advisory Committee for the Hemp Pilot Program. ASA, CSSA, SSSA International, Life Sciences Tennessee, NOCO Hemp Expo, Southwest Cannabis Conference & Expo, The Rodale Institute, Supply Side West, Tennessee Organic Growers Association, The Council for State Governments West and the University of Tennessee. This year she will speak at the Palm Springs Cannabis Film Festival, European Hemp Industries Association Conference, MJBiz Next, New West Summit and be a guest on the Cannabis Insider to air October 2018.